The Adriatic Coast is famous for its accommodations, beaches, local landmarks and attractions equipped and organized for any kind of requirement. Riccione is one of the most popular destinations for summer holidays for the family. Maximilianshotels are an ideal solution for those looking for a family hotel in Riccione stylish and comfortable. Many tourists with children each year choose the Hotel Tiffany’s and the Hotel Feldberg, both 4 star characterized by a large family vocation and impeccable services. Hotel Tiffany’s you will find many services dedicated to children, such as children’s club from May to September, the beach, the playroom, the customized menu at the restaurant. At the Hotel Feldberg, in addition to the nearby beach, you can enjoy the heated pool, ideal for younger children. Dedicated to children is also a summer baby club, and parents will have bicycles with child seat for a ride on the bicycle lane along the promenade. relaxation and cures for different advection are guaranteed! 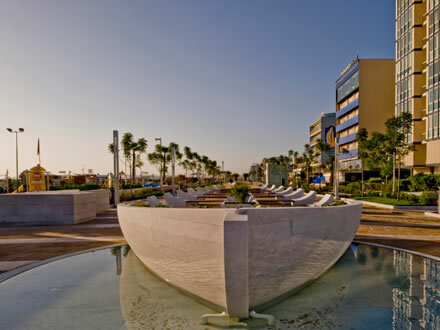 Our hotels in Riccione are just a few steps from the beach, the promenade is a lovely spot for who is on vacation. Walking along the new promenade, you will cross 5 squares, each one has a theme, inspired by the natural elements that have characterized this city. The waterfront is a perfect place for an evening with the whole family, a chance to discover the city that shines under the bright lights reflect on the sea, and live events, including concerts, music, festivals, celebrations that make Riccione really fun! Very comfortable and the bike path between palm trees and fountains takes you to the view of the city from a different perspective, move around is also perfect for children. Riding the bicycle made ​​available from our hotels in Riccione, in a moment you reach the waterfront, the historic center and enjoy the pleasant atmosphere that reigns here.